Soon Android will be in your car too! Thats right it was reported that General Motors is talking to Google to develop i an in-car telematics system to compete directly with Ford’s sync made with the help of Microsoft. 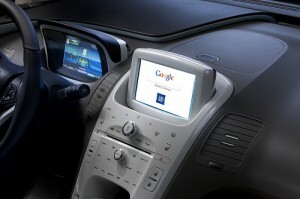 GM hopes to use the Android OS to offer a wide range of services just like the Sync. With Android GM could let customers pair their vehicles to almost any brand of smartphone. Some other cool stuff that is rumoured around the market is that with Android, GM could make cars that can adjust seats, start the car and other cool features by themselves without any human intervention. GM desperately needs to add more exciting features to beat Ford’s Sync to the competition. GM-owned OnStar service might be tied into Google’s Android OS featuring turn-by-turn navigation with the intelligence to predict activity and car health. However OnStar might not be needed since Android uses its own GPS map navigation and negotiations are on between the two over this. 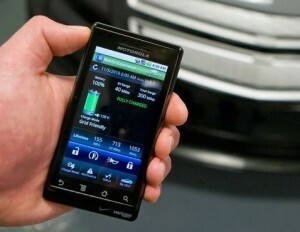 I did like to see intelligent cars, its interesting GM did not go to Apple for its telematics system. For as cool as the Apple iPhone and the iPad look, the control of Apple on its products makes Android much more cooler to work with! With Android letting developers make their own Apps, I did like to have a cool app made for my car! Previous Awesome – iPad battery life 99 hrs, find out how! Next Not again! Another iPhone 4 leaked?